I’ve touched on lag in MMOs in the past. We’ve all experienced it: Issues that prevent you from playing as competitively as your opponent, not being able to dodge telegraphed AoEs even though you reacted in time on your screen, or just random disconnects. I fully understand how frustrating that can be as I have been playing MMOs for well over 15 years now and have played from internet as slow as dial-up, which was.. for us old folk, the best we could get back when. You’ve no doubt attempted various fixes for the issue ranging from tweaking, optimizing, maybe even went as far as purchasing a new modem or going even further and changing Internet Service Provider.. I don’t know. I contemplated it at times but thankfully couldn’t afford either, so ultimately I ended up just playing with lag. That isn’t an issue anymore though thanks to VPNs like NoPing. Now, I’ve touched on VPNs in the past and I’ll say that I haven’t had all that much success with them. Some of them are overly priced for what they offer. Some of them spread malicious files around after installing them and some of them.. just don’t really do anything. From personal experience, there are, perhaps, less than a handful worth of Gaming VPNs worth investing money into. I used to play MMOs back from Australia, and most MMO servers were located in North America which left me with an average of 300+ ping. This made playing MMOs in any capacity both a chore and nigh-impossible. Especially if I attempted PvP. I played Blade & Soul in Australia, where I averaged 200-400 ping and every skill I used, every dodge I attempted was delayed by at least an entire second. Can you imagine how difficult it is dodging a telegraphed boss AoE when they only give you a second warning? Yeah, I couldn’t. Wiggy and I died over and over to 1-shot mechanics in Blade & Soul, Final Fantasy XIV, World of Warcraft and pretty much every other game that didn’t have exclusively Oceanic servers. NoPing, the VPN I was using for this test actually offered various servers scattered around various parts of the world. They allow you to choose the server you want and then route you through that server, improving your connection to the game you’re attempting to play. As an example, Wiggy plays WoW from Australia right now. She averages 340 ping in Australia, but after connecting via NoPing to a North American server and then running WoW, she saw an improvement of upwards of 100+ ping. This doesn’t just work for WoW though. For games like Black Desert Online where action combat and reflexes are of utmost importance, latency matters. So every millisecond delay you get could result in your untimely death, either in PvE or PvP. 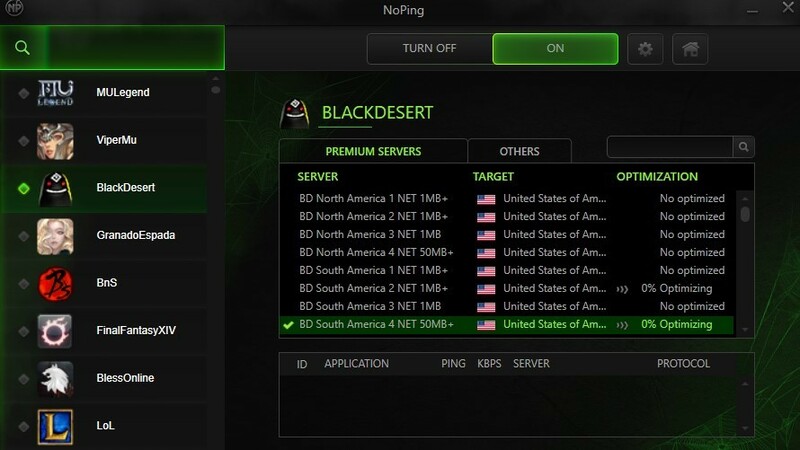 Thankfully, NoPing (as an example) providers players with North American BDO servers to connect to in an attempt to improve your connection to the game. 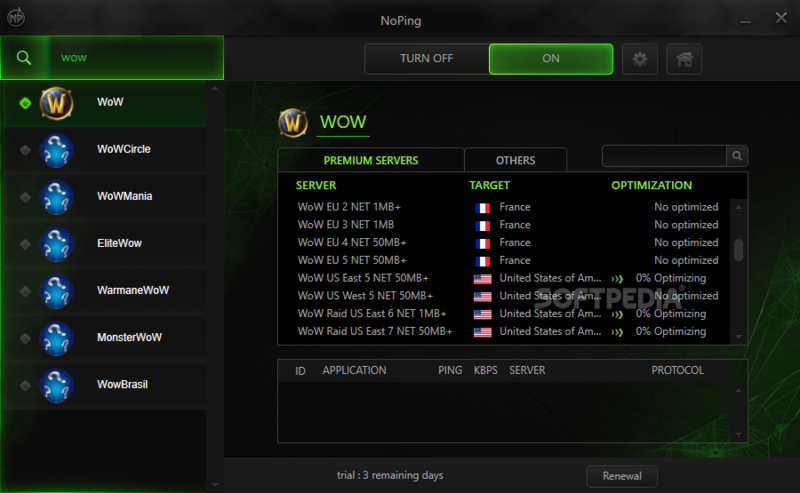 Additionally, even if you’re located within North America, you can use a VPN like NoPing to connect to a server closer to the data center of the game you’re playing. So even if you’re located within North America, you can, in essence, use a US VPN to improve your connection. Granted, you likely won’t see the same kind of improvement but nevertheless every little bit helps. I wholeheartedly recommend using a VPN to play MMOs and even games like Overwatch or Fortnite (MOBAs, BR’s etc.,) purely due to the fact that every little improvement over your ping helps you gain the upper hand over the competition. And, hey, I enjoy playing my games with less lag. I’ve tried NoPing, and can attest to the improvements I saw over my ping (however small or large) after using it. If you’d like to try NoPing out, you can by clicking the following link!